This week, Ris and Aiden interview Ris's girlfriend Jeanne Ikerd from the PolyAskery podcast. 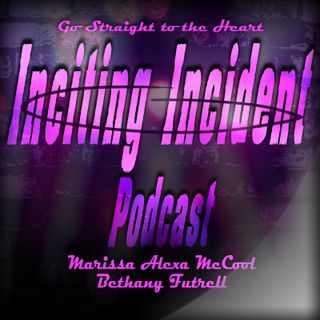 Support Inciting Incident on Patreon at patreon.com/incitingincidentpodcast for free stuff, personalized things, and being awesome, or by rating, subscribing, and commenting! 100th Episode LIVE coming July 14th with Chris Kluwe, Scathing Atheist, Opening Arguments, and Gaytheist Manifesto. Visit our sponsors Mind Aquarium and Warriors of the Crystal! Voiceover by Jesse Dollemore of "I Doubt It With Dollemore." For media and inquiries, please contact patorrez@patorrez.com.